Back 1999, I went to Northern Italy for my high school graduation/birthday present. The first thing I noticed was that everyone was better dressed than anyone I’d ever seen in the San Francisco Bay Area. Sensational fashion, such effortless elegance. I went shopping. The second thing I noticed was the food. Even though California is renowned for its fresh and delicious cooking, real Italian food was actually more fresh and flavours more supreme. 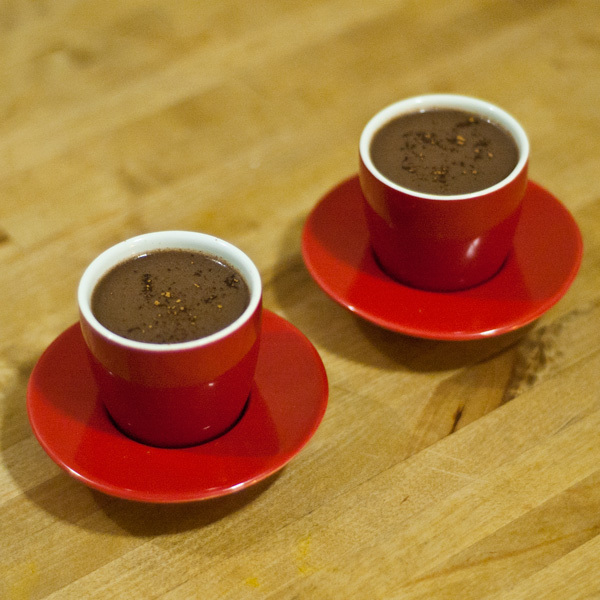 At some point during my trip I had Cioccolata Densa, the very thick Italian version of French Chocolat Chaud both of which are SO MUCH BETTER THAN AMERICAN HOT CHOCOLATE. European drinking chocolate is thick, delicious and served in smaller cups, not watery, gross, underflavoured and served in giant styrofoam mugs. When I returned to California, I started making my Chocolate Chaud with: Whole Milk, Dark Chocolate chips, a bit of Hot Cocoa Mix and Salt. Later, I added Cinnamon and Chillies cause the Latina in me wanted a lil’ spice. Once again, this Patrón XO Cafe Incendio is perfect in hot drinks. 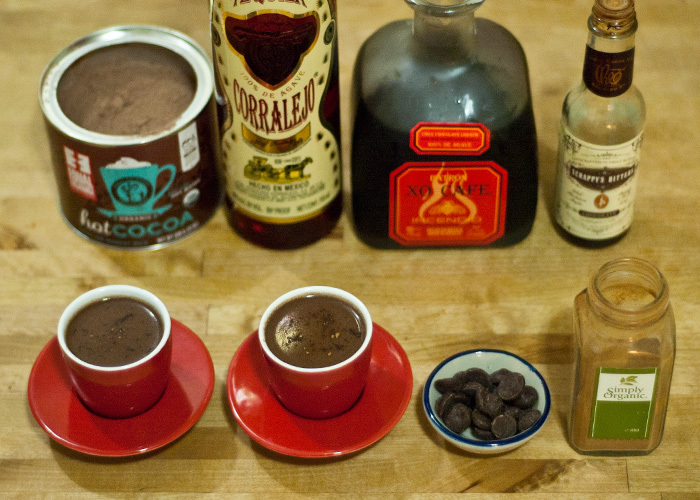 The Chocolate and Chili really turn this drinking chocolate into a Mexican Mouth-Party. Yep, I did just say that: Mexican Mouth-Party.